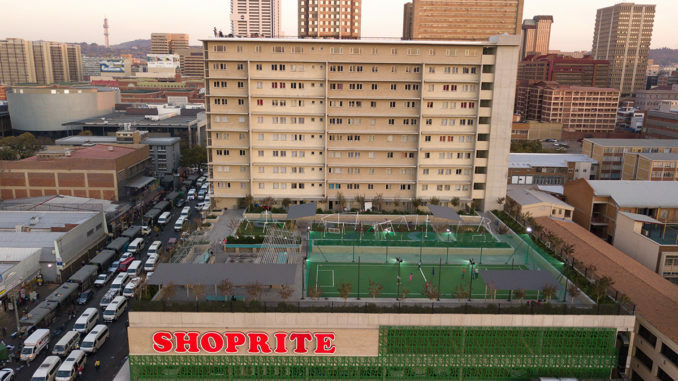 Sharon’s Place is a newly built mixed-use development, situated in the central business district of Pretoria, on a site that previously housed vacant retail warehouses. It has views towards the Union Buildings and overlooks the Pretoria National Zoological Gardens and the Waterberg mountain range in the far distance. It is designed as a central hub for young professionals, that provides comfortable living and convenient shopping. 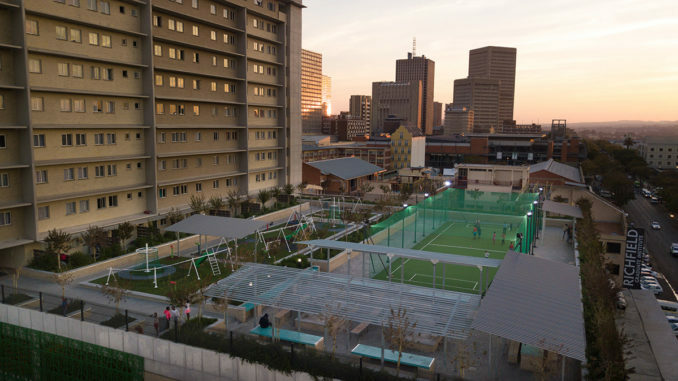 The focus of the development was to create a user-friendly experience, by upgrading the city environment at street level and by fostering a sense of community through the provision of quality shared spaces. The ground floor or street level of the development accommodates leading retail brands, as well as various smaller specialty stores. 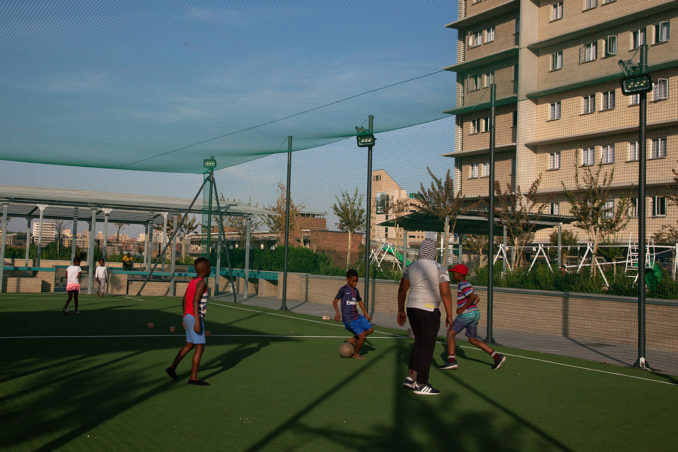 The philosophy of City Property (the developer) that “City living is not about the city, it is about the people” is evident in the decision that was taken to provide quality outdoor spaces to the residents of the apartments. 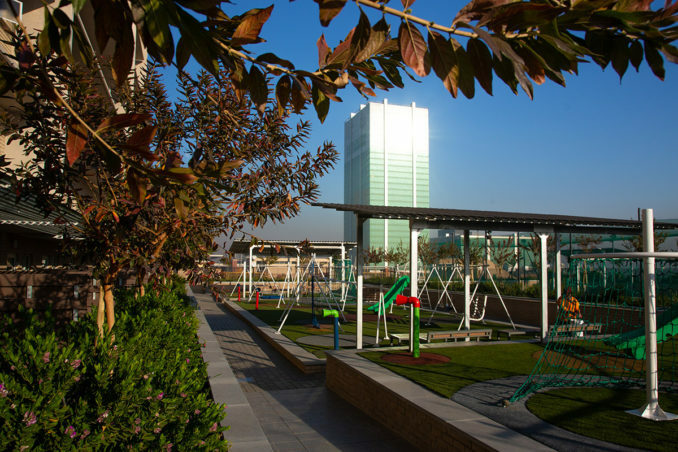 The roof garden is seen as a “private park in the city” with the purpose of improving the residents’ quality of life through outdoor relaxation, recreation and contact with nature. Three tower blocks (of 10 storeys each) rest on the parking and retail levels of the development. 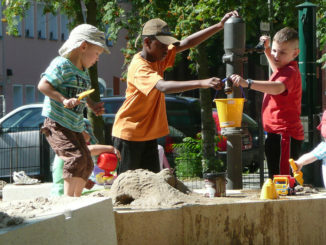 Two courtyards gardens and a recreational area are situated on the third level (at the base of the tower blocks) and are linked with a network of pathways. 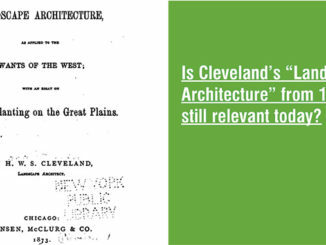 Together they provide the opportunity for the users to engage within private, semi-private and public spaces. 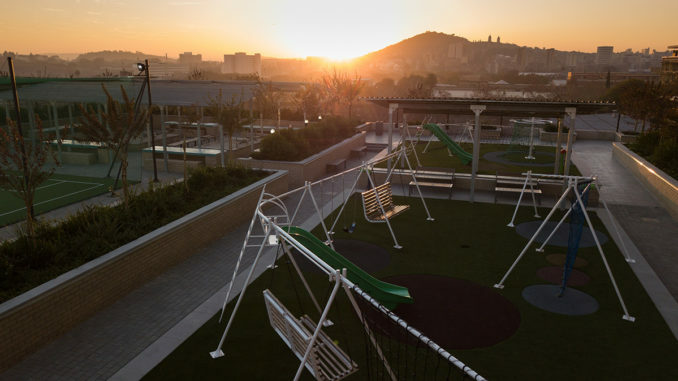 The recreational area provides a variety of experiences, including a children’s playground, entertainment area, multi-purpose sports court and general seating. 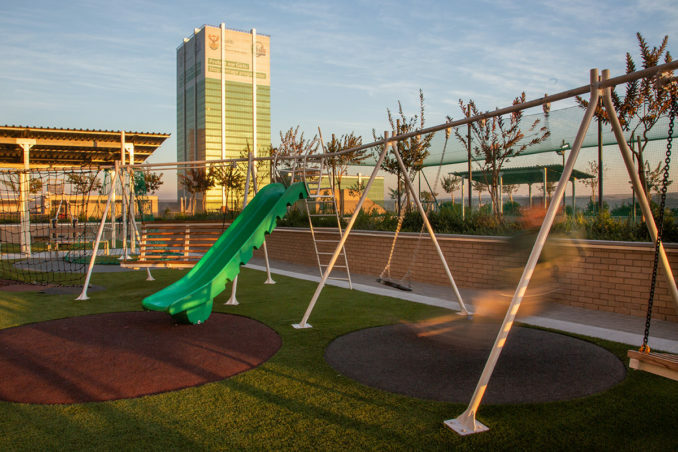 The children’s playground is raised to separate it from general activity in the courtyard and includes a toddler play area and an outdoor gym. 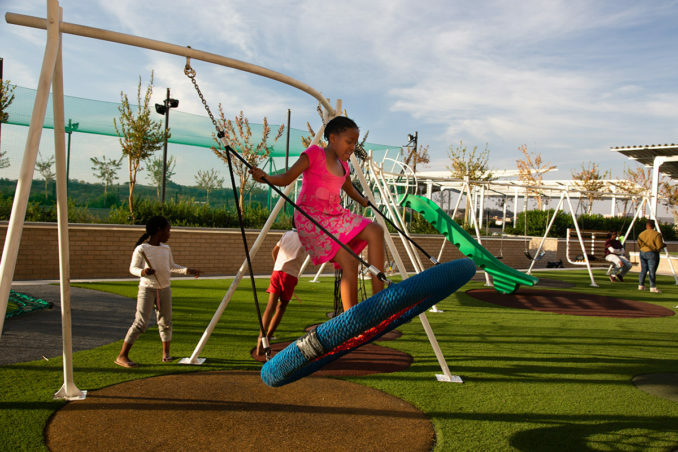 The custom-designed play area is organized by a playful line, created with curved mild steel circular tubing mounted on mild steel A-frames. 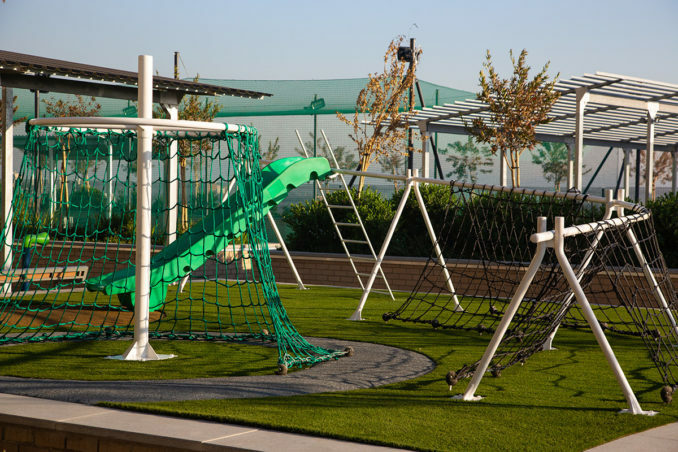 The curved tubing creates an armature for swings, cargo nets, monkey bars and slides. 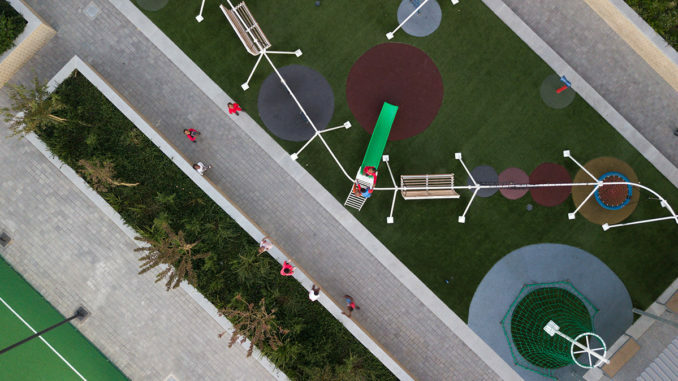 A combination of rubberized – and artificial grass surfaces were used to minimize injuries and to assist in organizing the space. 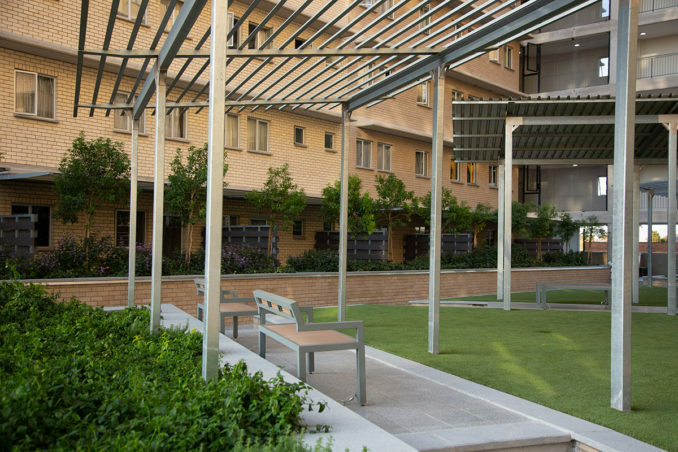 The entertainment area provides the opportunity for residents to have social gatherings in a garden setting, while enjoying views over the city and beyond. The area is shaded and screened from above with a pergola and includes barbeque facilities, picnic tables and seating. 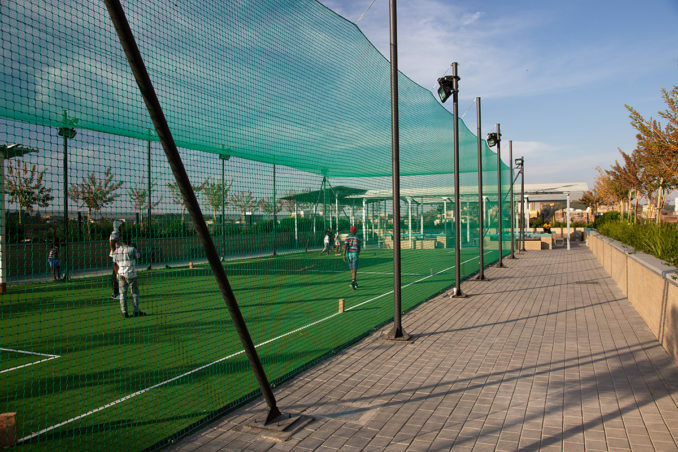 The multi-purpose sport court can accommodate all ages and a variety of sport types, such as soccer, hockey, cricket and basketball. 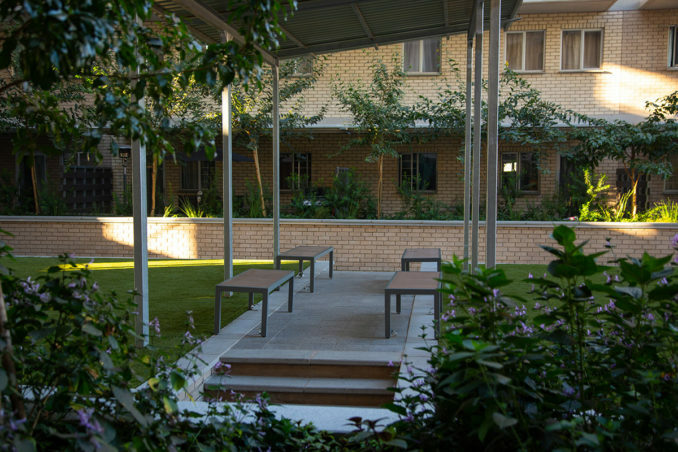 The courtyard gardens are quieter in nature and the focus was to provide comfortable seating areas surrounded by flowering, indigenous planting. 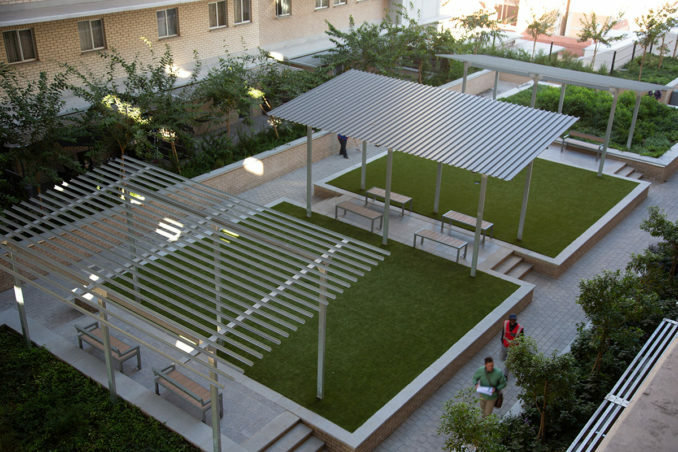 The ground floor apartments have small private garden spaces, overlooking the public areas, but screened with trees and planting in planter boxes.